Anything Contracts - Leigh is considered an expert on Texas Real Estate Contracts. She can facilitate a contracts class to specifically fit your needs. Getting That Darned Buyer Rep Agreement Signed – If you were a consumer, why would you sign it? What does it do for you? What is the most effective way to present a Buyer Representation Agreement? Get these questions answered and have buyers begging to sign! TREC Legal I & II – These are the two legal courses required by the Texas Real Estate Commission for license renewal. The Forms You Need to Know – This is the best contracts class you’ll ever have unless you take it twice. We’ll look at the basic residential contract and some of its nuances. We’ll also look at ways to use other available addenda to forward our clients goals. 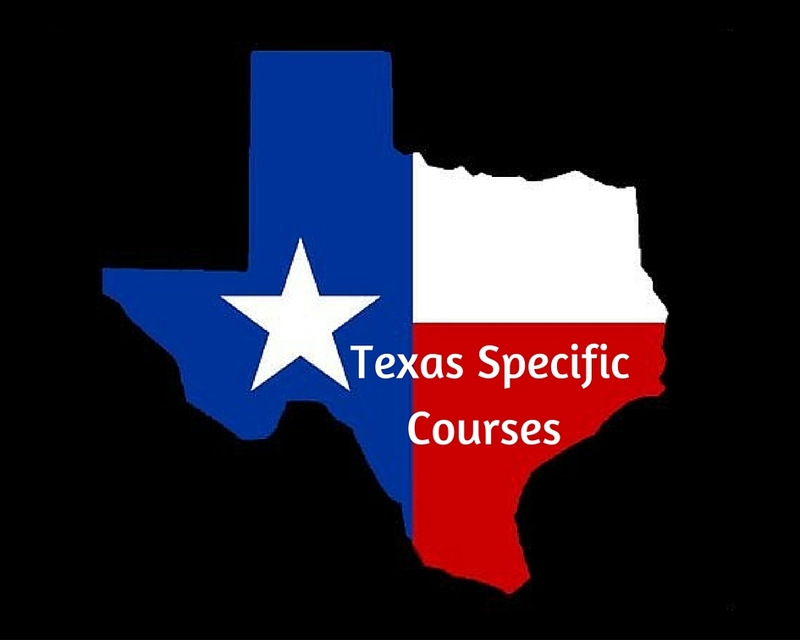 TREC Broker Responsibility – This is a 6 hour course required by the Texas Real Estate Commission for all license holders who supervise other license holders. GRI Marketing, Buyer Services - The buyer services day is dedicated to working with buyers and facilitating the home buying process for the buyer. It examines prospecting and phone opportunity. It further discusses creating and managing buyer expectations, and successfully selecting and showing properties. At the point the buyer chooses a home, it addresses working through the negotiation process, and managing requests and objections, as well as property inspections. It covers finance as it relates to the buyer, as well relocation buyers. GRI Marketing, Seller Services - The seller services day includes comprehensive strategies for working with sellers, including prospecting, the difference between property value and property price, preparing and staging property, and marketing listings. It provides a thorough discussion of the listing agreement and addresses seller disclosure. Further, it reviews best practices for listing appointments and presentations, covers property salability, price adjustments, relists, and relocation services. GRI Brokerage, Professional Standards -The professional standards day of GRI Real Estate Brokerage sets the tone for the course and provides a thorough review of the NAR Code of Ethics. The Code is the keystone of professionalism, protocol, and best practices for REALTORS®. Additionally, this day examines the ethics complaint and enforcement processes established and implemented by the Texas Association of REALTORS. Further, this section reviews case studies that assess actions and violations in everyday situations. The aim is for students to leave with a deeper understanding of the guidelines they work within. GRI Brokerage, Policies & Procedures - REALTORS® are subject to many rules; this piece explores the operating or brokerage environment of the REALTOR®. It discusses office policies and rules set by the broker that the agent must adhere to. It covers the independent contractor agreement which outlines those rules and clarifies the relationship between the broker and the agent. What’s more, it addresses communication and other policies, as well as the importance of keeping accurate records and maintaining files. It explains the need for errors and omissions insurance, and the necessity of an agency policy to determine how to handle various client scenarios. GRI Brokerage, Brokerage & Agency Relationships - This vital day provides an in-depth view of agency relationships which are the foundation of serving any client in any transaction. Importantly, this day aims to increase your awareness of your role and your broker's, and how the two work together and support one another. It addresses the requirements for both presenting the choices available for an agency relationship, as well as disclosing existing agency relationships. It examines the fiduciary duties required of agency and how they relate to both buyer and seller representation. And, it discusses intermediary relationships and the rules that apply. Texas REALTOR Leadership Program, Module 2: Exploring Leadership Qualities - During this session participants explore the traits and qualities of effective leaders, what makes people inclined to follow others, as well as managing personality dynamics within group settings. The class creates its own leadership definition. Negotiating Skills, Concepts and Practices – Negotiating is different based on who you represent, what the market is doing and what your client wants to accomplish. Pick up some great tips for every situation. You’ll also have the opportunity to share some of your best tips as well! Crack the Code – NARs Code of Ethics sets out the minimum standards of behavior for REALTORS. In this class we discuss common situations in which is easy to break the code while trying to do the right thing. We’ll discuss why the code says what it does and give an overview of how it’s enforced. We’ll look at each, individual article and how it applies to our business. Crack the Code 2.0 - This is Crack the Code on steroids! More fun and more information. This course satisfies the NAR Ethics requirement and gives very basic Professional Standards Enforcement training. It's great for all members and especially those new to the Professional Standards or Grievance Committees. Making Opposites Agree – This is dispute resolution at its finest! Perfect for managers and brokers but also a great system for the agent on the street. This discussion takes skills you already have and puts them into a system that will make you the hero in every dispute. Help the parties determine their own, positive outcome without taking sides. They win, you win! Professional Standards Training (Procedural/Enforcement) – REALTORS police their own, but how? This course is all about the procedure of enforcement for NAR’s Code of Ethics. How to file a complaint and what happens next, what does a Grievance Tribunal/Panel really do, Ombudsman, Mediation, Citations, what happens with a Hearing Panel or Arbitration Panel, Appeals and final decisions are all covered in this detailed training. Mediation Training – This course is based on NAR’s training for official REALTOR Mediators. Guests will learn how to formally mediate a dispute between parties. Ombudsman Training – This course can include setting up your Ombudsman program and will train your volunteers. Ombudsman services are less formal than traditional mediation and the rules for E&O coverage are slightly different. Not all mediators make good Ombudsmen and vice versa. This course will teach you the difference and provide basic and advanced skills for serving as an Ombudsman. Plan It. Do It. – Treat your real estate career like a business and your life like it’s yours. We’ll work on your balance between the two while setting goals for both and drilling down the numbers to achieve those goals. You’ll leave this class knowing exactly what you have to do and how to get it done. You’ll learn skills that will make you money for the rest of your career. Overwhelmed and Underknowledged - What to do and how to do it! Some expert advice on how to handle your real estate business without feeling overwhelmed and underknowledged. How do you optimize your time? What to do if your buyers are feeling remorse? This class will teach you how to prevent the pitfalls of inexperience in your real estate business. Leadership Insights – We’ll discuss some basics of strong leadership such as styles and drivers. We also include a panel of respected leaders in the area and have a moderated discussion between those leaders and the attendees. There are penetrating questions and scenarios built into the course but attendees will also be invited to ask questions. Strategic Planning – Planning the future of your business or organization is a must. We all know it but do we really plan or just dream? Leigh will facilitate and help organize your ideas for your group. You do all the work while Leigh guides you through organizing your thoughts, setting goals, determining how to accomplish them and identifying who is responsible for tasks. You’ll leave with a framework and the knowledge of what to do with it in order to take your entity to the next level. Cut your hair not your fees! Go to beauty shop but don't send your commission to the chop shop! Learn how to defend your fees as an agent, listing agent fees and buyer broker fees. Get the skills to handle multiple objections and explain to clients how fees are assessed. Learn how to legitimately earn fees and review the legal requirements for earning a commission. Learn what you earn and how to explain it without getting chopped! Getting a Yes Out of A No: What is your conversion rate? It really doesn’t matter how many leads you get but how many you convert. This class is about conversion. That means negotiating, overcoming objections and getting agreement. Get what you want by giving them what they want. Participants in this session will learn how to persuade sellers to get real about their prices, to get over-priced listings priced right, and to persuade reluctant buyers to buy now. Do all of this while providing the highest quality possible customer experience for your clients.